In 1995, former professional squash player Gregg Zaff launched SquashBusters in Boston, MA, based off of a graduate paper he wrote entitled ‘Bringing Squash Down from the Ivory Tower, the Creation of an Urban Squash and Education Program.’ Gregg recruited 28 students to work with him after-school at the Harvard Club and Boston YMCA on homework, squash and fitness. From these humble beginnings spawned the international movement known as urban squash. 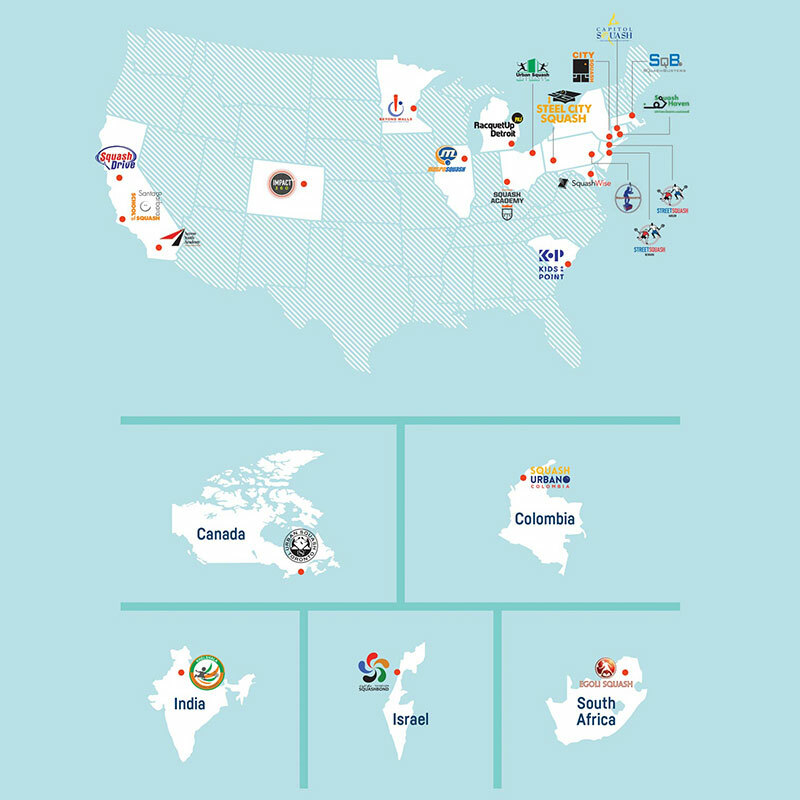 In 2005, leaders of the four original urban squash programs banned together to create the National Urban Squash and Education Association, what is now known as the Squash and Education Alliance (SEA). The mission of SEA was and is three fold: establish and monitor best practices for member programs, coordinate national tournaments and educational opportunities, and assist in establishing new urban squash programs. Their efforts brought 18 new member programs into the SEA fold between 2005 and 2014. In 2014, Talbott Simonds from Pittsburgh, PA approached Tim Wyant, Executive Director of SEA, about bringing urban squash to his home city. With the initial support of the Hillman Foundation and Heinz Foundation, Talbott and Tim quickly identified a group of five founding board members who hired Brad Young to be Steel City Squash’s Executive Director. A partnership with the University of Pittsburgh was quickly solidified and Brad launched the program in January of 2015, becoming the 19th member program of the Squash and Education Alliance. SEA launches and leads youth programs that combine squash, academics, mentoring, travel, college support and career readiness. Through the partnership with SEA, Steel City Squash is able to access and participate in national and international opportunities. Our program travels monthly to compete against sister programs in cities across the country and participates annually in the SEA Urban Team Championship, SEA Urban Individual Championship, and SEA Midwestern Championship. Our students have won national academic contests hosted by SEA, won scholarships to attend elite educational opportunities totaling over $30,000, and participated in multiple squash camp and training opportunities across the country. Without the partnership with SEA, these opportunities would be fewer and more difficult to obtain for our deserving students. Nationally, SEA member programs are partnered with 70 schools in under-resourced communities. Today, member programs currently have 2,210 students enrolled, with an annual retention rate of 84% for students who start and complete the year. Upon graduating high school, 77% of urban squash college students choose to pursue a four-year degree. Urban squash alumni earn college degrees at 3 times the rate of their peers in the same demographic. Six out of seven Ivy League Universities have enrolled squash college students, 37% attend top-100 colleges and universities, and 24% attend attend top-50 colleges and universities.